Faith Based Health Care – The Lancet Series launched at the World Bank as part of the “Religion & Sustainable Development: Building Partnerships to End Extreme Poverty” conference in Washington D.C. July 7th – 9th 2015. 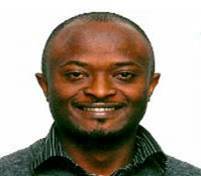 The “new normal” of faith communities engaging in sustainable development was underpinned by the President of the World Bank’s recognition that a new paradigm is necessary within development. Using the framework of liberation theology he posited the importance of building action on a “ preferential option for the poor”. A move to shift development mandates from focusing on developing wealth as a priority to seeing wealth development in the context of a much wider value based paradigm. These examples from two of the world’s religions are amplified in other faiths. But more needs to be done, the shared agenda between the development goal to “ End Poverty in all forms everywhere” and the ethos of Religions to care for the poor should be built upon in new ways. As a University what is our responsibility to participate in Sustainable Development Goal One To end poverty in all its forms everywhere? How and where can the creation, dissemination and curation of knowledge contribute to achieving this goal? As students, as staff, as alumni and partners of the university we are part of 432 years of knowledge, we are part of a community that spans every country in the world through our alumni presence, both past and current, we are part of a deep and rich hub of information management and sharing capabilities. We all have the responsibility of taking our University mission of creation, dissemination and curation of knowledge and of applying this knowledge, ours is the responsibility of implementation. And in this implementation we can work together. Knowledge by its very nature is a catalyst for change, and each of us carries this capacity. This is just one example, the opportunities and the needs are vast and there is always more that could and should be done – we welcome your ideas, stories of knowledge in action and thoughts on what, where and how next. Membership of the Global Health Academy is open to everyone with a passion for engaging in global health. In Malawi, cervical cancer is the most frequent cancer among women of reproductive and economically important age (45.4% of female cancers) and an 80% mortality. Numbers are projected to increase over the next 2 decades as improvements in other areas of health (eg treatment for HIV) increase length of life. There is no national programme for cervical cancer prevention through immunisation or screening and many women now survive childbirth only to die later of preventable cervical cancer. Inadequate access to treatment, ostracisation of women with severe symptoms of cervical cancer, and limited palliative care services are additional features. We received funding from the Scottish Government International Development Fund for Malawi (2013-2016) to set up a sustainable programme of cervical cancer reduction in Nkhoma Hospital and 10 surrounding health centres. 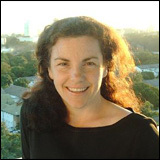 The project is jointly led by Professor Heather Cubie, Consultant Clinical Scientist in NHS Lothian until recently / Honorary Professor, Global Health Academy, University of Edinburgh and by Dr Christine Campbell, Senior Research Fellow, Centre for Population Health Sciences, University of Edinburgh. 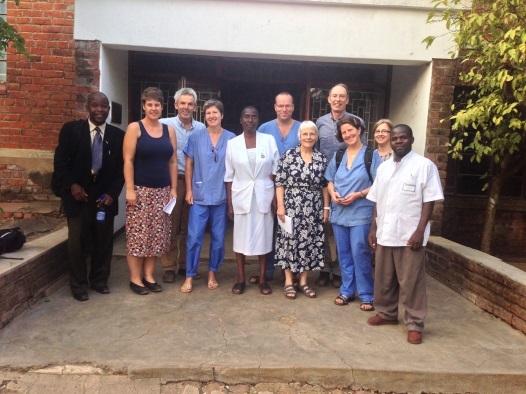 The principal clinicians are Sr. Hilary Brown and Dr Graeme Walker from NHS Lothian who participated in ALSO courses (Advanced Life-Saving in Obstetrics) in Malawi a few years back and others from round Scotland have helped / are helping for short periods through sabbatical or unpaid leave. In the first two years of the project, our Malawian colleagues have provided information on the value of cervical screening to 4 Traditional Authorities and 84 Group Village Headmen and obtained their permission to speak to around 30,000 people in the region. In addition, a potential 120,000 (50% of the population) has been reached by local radio broadcasts. Twenty-four Malawian healthcare professionals (mainly midwives and clinical officers) have been trained to provide cervical screening using a procedure called VIA (visual inspection with acetic acid) and treatment of early lesions using cold coagulation. Case load is audited and competency of each provider is assessed by Scottish clinicians using similar standards to the UK. Over 7000 women have had their first-ever cervical screen. Those with early signs of abnormality have been offered treatment and 75% received it the same day. At the start of the project, a number of women said they would need to ask permission from their husbands to receive treatment but this is no longer a big issue. Hopefully this is because the information messages have reached the whole population, men and women, giving women a sense of empowerment. Two-thirds have returned for follow-up visits, despite this being considered difficult to achieve. Sadly, the VIA clinics still see too many women with cancers which are too advanced for immediate treatment. 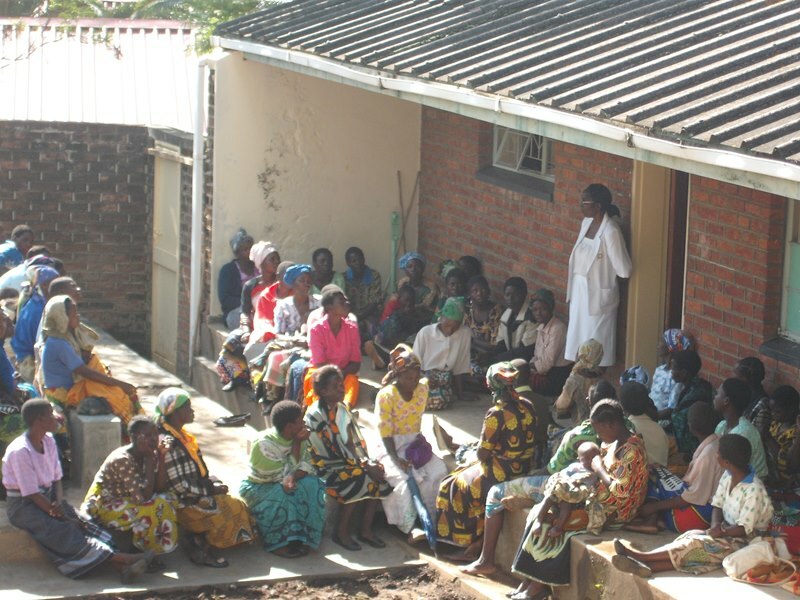 There is little Malawi can offer in terms of chemo- or radiotherapy, but the project does ensure that these women have their diagnosis fully explained and are offered surgery or palliative care where appropriate. The project now has daily clinics in Nkhoma Hospital and weekly clinics in 5 surrounding health centres, some Government and some CHAM. Year 3 of the project will extend to weekly clinics in 5 more health centres and consolidate training to allow sustained service. We are currently looking for further funding to extend the ‘hub and spokes’ model to additional hospitals and their health centres. Sun Tzu, a Chinese military philosopher in the 6th century BC, said “ if you know your enemy and yourself, you will not be imperiled in hundred battles”. If not taken in literal terms, it would suggest that learning more about the humanity and livestock’s arch enemy Tuberculosis (TB), with whom we have been battling for millennia, can only arm us all the better for the fight. As part of this battle, The University of Edinburgh has long been contributing to the research and development arm of the World Health Organisation’s “Stop TB Global Strategy”. The WHO has achieved the 2015 Millennium Goal of halting and reversing the incidence of the disease. Despite this great acheivement, in 2013 alone the WHO registered 9 million cases of TB, half a million of which succumbed to the disease. Horrifyingly this latter number loosely translates to four super jumbo jets crashing every day for the entire year. Going forward to 2035, the WHO has set yet more ambitious goals to end the global TB epidemic with corresponding targets of 95% and 90% reduction in TB deaths and incidence respectively. In order to achieve this mighty aim, now more than ever, it is critical for the definitive diagnostics to not only reveal the mycobacterial species but also the genotype. The majority of cases of human TB are caused by Mycobacterium tuberculosis, however a small, but significant geographically-limited, proportion is due to Mycobacterium bovis the causative agent of bovine tuberculosis. The latter is what is commonly referred to as zoonotic tuberculosis. The current statistics shows that when considered as a proportion of the global TB burden, zoonotic tuberculosis accounts for a small proportion however, if reported in absolute terms it translates to between 95,000 and 150,000 cases of which 15% succumb to this disease form globally. It is noteworthy that 9 out of the 22 high-burden TB countries are responsible for ~70% of the global zoonotic TB cases. In general, vaccination is an effective method of controlling infectious diseases. The BCG vaccine, developed agianstM. bovis, is the most widely administered TB vaccine in the world. However its varied efficacy globally has always been a challenge to the TB control strategy. If the endemic population of infective bacteria is different from that contained in the vaccine, this can lead to vaccine failure. Vaccines that target a narrow range of phenotypes may not offer sufficient prevention against infections in settings where multiple different strains of the infective agent may be present. This is particularly relevant to areas where several different strains of M. bovis are prevalent, and where the TB burden is correspondingly high. It is also reasonable to argue that some of the TB treatment failures in these areas are likely due to species and genotypes un-accounted for in the treatment protocols. Thus it is critical to document the diversity of M. bovis, and use this data to increase the phenotypic range in novel vaccines, thereby improving patient immunity. The currently documented genotypes of M. bovis in high-burden settings lack “granularity” because they are based on PCR methods that target less than 0.005% of the genome. It is therefore likely that niche and host-specific polymorphisms that are critical for population-based vaccine implementation, are left unused in determining these genotypes. This disparity in genotype diversity and breadth of target phenotype is likely part of the reasons why the efficacy of BCG vaccination is lowest in Africa. A solution to this comes in the form of whole genome SNPs based genotyping, which offers high definition genotyping power capable of revealing subtle niche and host specific diversity. Researchers from the University of Edinburgh are now part of a large international collaboration that will sequence and genotype 254 isolates of Mycobacterium bovis from eight African high burden countries. They will be working alongside colleagues from eight African research institutions, and from the United States Department of Agriculture, Colorado State University, the University of Georgia, the University of Tromsø, theNorwegian Veterinary Institute, and the Norwegian University of Life Sciences. The new data the team generates will be made freely available for researchers and industry involved in TB vaccine, diagnostics and therapeutics development. By piecing together more and more information about the strains of Mycobacteria causing TB in different areas, researchers will generate the ammunition needed to finally defeat TB. What are the long-term consequences of deworming programmes? What happens afterwards? This apocalyptic question is one that is integral to all forms of intervention in human and animal diseases. This is particularly important in cases where the intervention occurs at a national scale. My research group has been asking this question in relation to the current global efforts to control worm (helminth) infections which significantly impact on the health and development of children. Specifically, we work on bilharzia (urinary schistosomiasis) an important, but neglected infectious disease caused by the blood fluke Schistosoma haematobium. Although we hear occasional reports of tourists infected during visits to resorts in endemic areas, bilharzia is typically a disease of poverty due its association with poor sanitation and unsafe water. People become infected when they come into contact with the infective stage in freshwater after it has been released by freshwater snail- hence the other name of the disease- snail fever. The disease affects over 100 million people, mainly in Africa. Children carry the heaviest burden of infection; as a result, they experience bladder and kidney disorders, stunted growth and poor development. Current global initiatives from Partners of Parasite Control including the World Health Organization (WHO), Bill and Melinda Gates Foundation, UNICEF, Schistosome Control Initiative and the World Bank are advocating regular school-based de-worming interventions to reduce the development of morbidity, promote school-child health and improve cognitive potential of the children. Children are treated with the antihelminthic drug praziquantel. Over the past decade, there has been a concerted global effort to control bilharzia, galvanised initially by the Millennium Development Goal (MDG) 6 to combat HIV/AIDS, malaria and other diseases by 2015 and the World Health Assembly resolution 54.19 to treat at least 75% of all school-age children at risk of schistosomiasis by 2010. The most recent schistosomiasis resolution, World Health Assembly resolution WHA65.21 passed in 2012 is advocating for the elimination of schistosome transmission and the WHO Schistosomiasis Strategic Plan 2012-2020 sets out its vision of for a world free from schistosomiasis. This represents a real drive at the global scale not previously seen, to control this important disease of childhood. Millions of school children in Africa are currently being treated with this drug resulting in significant health improvements. In several countries where the control programmes are currently being implemented, they are typically running for 5 years. The questions we are asking is what will happen to 1) the children who have been treated, 2) the rest of the population that has not been treated and 3) the parasites? The overall, long-term outcome of these treatment programmes for human health is believed to be good- but what evidence do we have for this? In my research group, we are interested in the long-term consequences of praziquantel treatment. Our studies and those of others have shown that the effects of praziquantel treatment go beyond the transient reduction of infection intensity and morbidity. Treatment with the antihelminthic also reduces future pathology and induces immune responses protective against re-infection by the parasites. What will be the effect of the 5-year treatment programmes on the host immune system and overall health? Experimental studies of the regulation of the immune system suggest that treatment of helminth infection results in susceptibility/worsening of immune disorders (explained through the hygiene hypothesis). What is the relevance of these studies to human helminth infection? What are the long-term health implications in children treated through these national treatment programmes? Similar to malaria, people exposed to schistosome parasites develop natural acquired immunity to the parasites following repeated infection with the parasites. What is the consequence of praziquantel treatment on schistosome immunity and disease, decades after cessation of the control programmes? Providing answers to these questions is critical for informing strategic planning for ministries of health and prioritisation of resources as well as formulating /directing global health policy. These really interesting scientific questions and the potential impact of the findings for human health are the drivers of research for Dr Francisca Mutapi and her group, the Parasite Immuno-epidemiology Group, at the University of Edinburgh. All living things depend on their environment for energy and for the basic requirements that sustain life – air, water, food and habitat. This simple dynamic is not in dispute. However there is a growing body of evidence that suggests the relationship between environment and human health is in fact a reciprocal one, each having complex effects on the other. According to the UN Environment Programme, every human being has the right to a safe, healthy and ecologically-balanced environment…….but what exactly are these complex relationships, and how can we ensure that human rights to a safe and healthy environment are delivered, even under conditions of rapid global environmental change? Much of our society’s development has depended upon technological advancements in our environment; improvements in agriculture, sanitation, water treatment, and hygiene have had revolutionary effects on health, well being and longevity. While our environment and the natural resources within in it sustain human life, it can also be the limiting factor in improving health, as well as being a primary source of disease and infection. Lack of basic necessities are a significant cause of human mortality. Approximately 1.1 billion people currently lack access to safe drinking water, and 2.6 billion do not have proper sanitation1, so while advancements in managing the productivity of our environment has resulted in access to surplus quantities of food, water and services, for many, this development has not occurred equally across the world. Our environment can also be a major source of infection. It is estimated that almost one quarter of global disease and 23% of all deaths can be attributed to environmental factors2. Pollution and other environmental hazards such as food contaminants, over-exposure to sunlight, algal blooms, flooding and drought increase the risk of a myriad of health concerns that include cancer, heart disease, asthma and respiratory diseases, anxiety, stress and depression as well as many other illnesses. Environmental factors influence 85 out of the 102 categories of diseases and injuries listed in the World Health Report and in 2012, 7 million deaths worldwide were attributed to exposure to air pollution – now the world’s largest single environmental health risk3. However social and political aspects that affect our environment such as housing conditions, access to education, access to green space and poverty are major influencing factors in the relationship between health, well-being and environment. On the other hand, policies and processes that are undertaken with the aim of promoting health and well-being can have significantly detrimental effects on ecosystems as well as our human environments. For example, food production requires unsustainably large volumes of fresh water and causes environmental damage from pesticides and fertilizers, soil erosion, animal wastes and carbon emissions from food manufacture and transportation. Disease prevention can also drastically alter environments. For example, malaria was eradicated in many developed nations in the 1950s by draining wetlands and spraying DDT to kill mosquitoes. The destruction of these ecosystems to control malaria, and the addition of persistent and toxic chemicals into the soils and watercourses has had long-term detrimental impacts on these ecosystems at a regional scale. Wide-spread disease prevention on a global scale creates additional consequences for the environment as the subsequent increase in longevity and reduction in human mortality creates further pressures from overpopulation, increased use of fossil fuels, increased land-clearing, water use and agriculture, as well as generating high volumes of pollution and waste. Recently, a socio-economic approach to evaluating the benefits and services provided by ecosystems has provided insight into the threats and challenges that may lie ahead. The ecosystems services approach provides a framework for decision making, and for valuing the ‘products, functions and services’ ecosystems provide, to ensure that society can maintain a healthy and resilient natural environment, now, and for future generations. For example, The UK National Ecosystem Assessment indicates that the United Kingdom relies on it’s ecosystems for a range of services that include climate regulation, waste removal, pest control, flood protection, food supply, potable water, natural medicine, aesthetics, recreation and tourism, among many others. However, this innovative approach recognises and strives to promote the philosophy that our environment provides much more than material benefits. It states clearly that ecosystems contribute to national security, resilience, social justice, health and well-being, and freedom of choice and action4. Therefore, the degradation of our environment, and the ecosystems it supports can have seriously harmful and far-reaching impacts on society, its governance and the economy. Primary impacts of ecosystem degradation relate specifically to human well-being: ‘significant and detrimental human health impacts can occur if ecosystem services are no longer adequate to meet social needs’ World Health Organisation Secondary impacts that may result from a decline in ecosystem function can affect jobs, income, local migration and, on occasion, may even cause political unrest and conflict. The Economics of Ecosystems and Biodiversity report estimates that globally, the degradation of our planet’s ecosystems is costing us €50 billion each year. This figure does not take into account the resultant impacts on national security and social justice, which have wide-ranging impacts on well-being, and the availability and access to food, water and healthcare provisions. Of great concern is the way that the complex relationship between health and environment is evolving due to a culmination of global-scale changes including rapid changes in climate, flooding, drought and fluctuations in temperature, not to mention population growth and urbanisation. The World Health Organisation Global Forum on Urbanisation and Health in 2010 highlighted that for the first time in history more people live in urban settings than rural, and that conditions in cities will be among the most important health issues of the 21st century5. Greater urbanisation puts ever increasing pressure on services such as housing and health. Understanding the surrounding environment, the impact that an ever increasing population has on it and how we can develop and increase services with the least impact is key. The use of our natural environment has provided human civilisation with many benefits, but the costs to our ecosystems have been severe and extensive. As our population continues to grow and our demands for food, fresh water, healthcare, fuel and building materials soar, we must ask ourselves what price we are prepared to pay. What legacy do we want to leave for future generations? Both the Convention on Biological Diversity and the World Health Organisation have made clear that unless we come to understand the relationship between environment and health and address they way we use and manage our environment, then we will substantially diminish the benefits and well-being that future generations can acquire from ecosystems, and severely compromise their ability to meet their basic human rights to a safe and healthy environment. The Year of Environment and Health is a collaboration between the University of Edinburgh’s Global Health Academy and its Global Environment and Society Academy. It endeavors to examine the key issues in the relationship between Environment and Health through the lens of Global Change. Catherine Morgan (Global Environment & Society Academy); Lisa Wood (Global Health Academy), University of Edinburgh. For the last 15 years women in rural Malawi have been experiencing high rates of maternal and new-born illness and death due to preventable complications of childbirth. Three main factors precede the majority of poor maternal and new-born health outcomes: firstly a delay in making the decision to seek care, secondly a delay in getting to an appropriate health facility, and thirdly a delay in receiving appropriate care within the health facility. The absence of patient data for decision-making at health facility level remains one of the greatest weaknesses of the Malawian health, which is characterised by antiquated, paper-based systems and a reliance on mothers to hold their own paper-based records, known as ‘health passports’, as well as that of their infants. Implementing electronic health information systems (eHIS) across hospital and community care has potential to reduce birth complications by ensuring that the right information about the right patient is available to the right people at the right time and place. Enabling information to flow between community-based and hospital-based care settings may enable more informed decision-making about high risk cases in need of referral for specialist management, leading to improved maternal and new-born health outcomes. Since 2009, there has been significantly increased commitments to and investments in the strengthening of eHIS at Nkhoma Hospital in Malawi. This is being done through integration of information and communication technology (ICT) in the running programmes of at Nkhoma Hospital and it’s surrounding health centres to increase the quality and effectiveness of development interventions. The ICT solution being implemented is AfyaPro, which has seven (7) modules: patient registration, patient billing, diagnosis and treatment, medical laboratory, reproductive and child health, inventory, and HIV-ART. Beyond installing AfyaPro, efforts have been to strengthen eHIS through a change management process aimed at facilitating ICT ownership, increasing ICT competencies and assisting with institutional integration of ICT at the health facilities. The first stage of implementation involves replacing the paper registers that are currently used in antenatal and delivery care with electronic data capture using AfyaPro. The electronic data is linked to the health passport through a bar code system, as well as being retrievable through name, year of birth and village. Electronic patient data are stored securely in a local and central database and accessible at the referral hospital and the other health centres. In the continuum of care, if a woman is referred from her primary health centre to the referral hospital, or transfers to another health centre, her file is directly available at the referral site, improving quality of patient care. So far, computers and other hardware have been installed at Nkhoma Hospital and health centres. Health workers have been trained in the use of computers, Afya Pro applications, as well as change management. There is now need to study how the electronic health information system impacts quality of care and health facility management, and ultimately maternal and new-born health outcomes. Church leaders have been invited to various meetings and have been trained in issues relating to SRHR. There is need to follow up on the advocacy with the church leaders to identify specific actions taken. 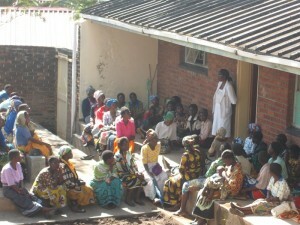 The project provides a leading role in a local and national network, called Uchembere Network. There is an exchange programme established for health providers, so they can experience work in the maternity ward of the hospital or another health centre. There is need to further develop this strategy to improve skills and attitudes of the health providers. Each facility maternal death is audited, yet community-based maternal deaths are rarely reported. There is need to develop a mechanism for capturing all community-based maternal deaths, and subsequently conduct an audit. A community bicycle ambulance system has been developed and use of bicycle ambulances are being monitored by the community and the project. A wireless communication system set up among the health centres and Nkhoma Hospital is being maintained. There is need to further develop the voice over internet protocol communication system to be able to share document, picture and video among the health facilities. There is also need to evaluate the sustainability and cost-effectiveness of the bicycle ambulance system. Community structures such as Area Development Committees in the Traditional Areas have been strengthened. Women’s groups in the 22 villages have been set up to empower women. 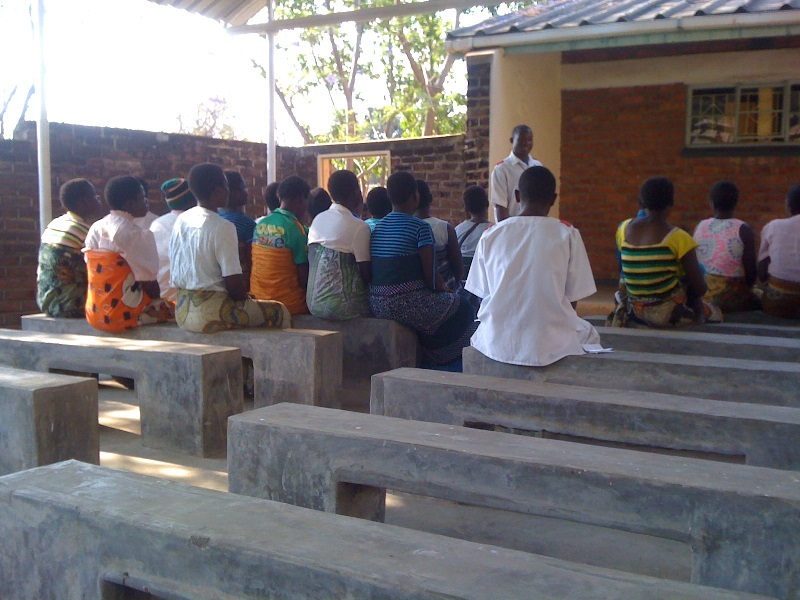 Training of youth from churches in the catchment villages has mobilized them. Community based distribution agents have been trained and are being supported to take family planning methods closer to people’s homes. A quality assurance system ensures a team from Nkhoma Hospital supervises the health centres, and staff from the health centres learn from each other. 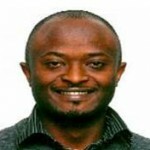 There is need to evaluate these strategies increase access to family planning methods. The Global Health Academy is part of the University of Edinburgh.